The EGU General Assembly 2012 was again a great success with 4,436 oral and 9,092 poster presentations in 530 unique scientific sessions together with 157 Poster Summaries & Discussions sessions as well as 165 side events. At the conference 11,275 scientists from 95 countries participated, of which 28% were students, 15,000 copies of EGU Today distributed, keen media presence and reporting, and thousands of visits to the webstreams as well as to the EGU blog GEOLOG. We thank all of you very much for your attendance and your active contribution to this great event. 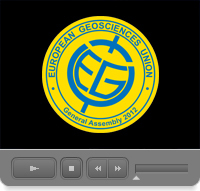 We would be pleased to welcome you back at the EGU General Assembly 2013, 07–12 April 2013, Vienna, Austria. Please check the winners of the EGU2012 Photo Competition.